To revisit the recordings of Pablo Casals is an unalloyed pleasure, one that still yields fresh insights after many years of studying and playing the many of the same works that were his favourites. I cannot remember when I have spent a more enjoyable few weeks listening to the skilfully re-mastered recordings, some from nearly a century ago, and marvelling at their freshness and immediacy. Casals was an incomparable artist, and we are fortunate that the invention of recorded sound coincided with his emergence on the world stage. The choices that follow are entirely personal but will, I hope, invite the reader to explore this legacy and to make his or her own discoveries. For help in defining proper art, James Joyce goes to Thomas Aquinas, who says that the aesthetic object renders three moments: integritas, “wholeness”; consonantia, “harmony” and claritas, “radiance”. The experience of listening to Casals reveals the essence of note, phrase, movement, and entire work just as in a grand building each detail adds to the majesty of the whole without interrupting the flow of line and structure. His interpretations are not capricious; they observe fundamental laws of line and form, just as does every inspired work of art. Underneath there is rhyme and reason, but also an uncanny intuition at work. I shall aim to uncover what appears to my ears to be both clear and mysterious, the paradox of Nature and Art at work. Unfortunately Casals’ prime as an interpretive artist did not parallel the apogee of recording technology as we know it today. Some of his best performances are the acoustic recordings made from 1916-1925 (collected in Pablo Casals: The Complete Acoustic Recordings, Vols.1-3, Biddulph Recordings, LAB 141-3.) Even in their re-mastered condition, considerable surface noise is present, but if one has patience, there are riches to discover. These three Cd’s are well worth owning. 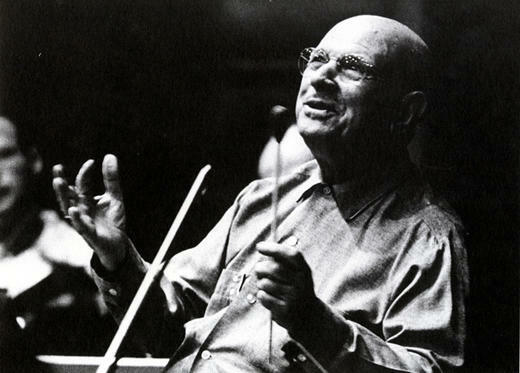 At the age of 38, Casals did his first recordings for ‘American’ Columbia in New York in 1915. They reveal an artist with flawless intonation (this in the days of no splicing or digital editing! ), superb clarity of articulation in bow and left hand, expressive slides and a way, as they say, with a song. In Volume 1, composed mostly of pieces no longer than three or four minutes, we are reminded just how much depth of feeling is missing from modern playing. Casals knew the difference between sentimentality and sentiment, and he never indulges in personal distortion in these small gems. There is balance in the rubato, a controlled vibrato and a superb son filé. The slides are always for a particular expressive effect, judicious, never gratuitous. Listen to the Handel Largo from ‘Xerxes’ for its sustained line, dignified and unhurried. The Kol Nidrei is a work Casals recorded several times in his life: in 1915, 1923, and 1936. It is hard to put into words how he captures the idiom; he demonstrates here and elsewhere that dramatic recitative should be as much a part of the instrumentalist’s art as a singer’s. In his hands, Popper’s Mazurka is a fiery Polish dance played with great panache, extraordinary freedom and plasticity of rhythm, what, in jazz, is called ‘bending the beat.’ It is a piece that can sound repetitive in lesser hands. The first recording of Bach that Casals made took place more than twenty years before he completed the Six Solo Suites for EMI. On this same volume appear the Prélude, Sarabande, Bourrée, and Gigue from the C major Solo Suite. What is striking is how he brings out the design of whatever movement he plays. The sequences are well-defined without being pedantic and dance figures have their place as accompaniment to the melody. In these first recordings one can uncover Casals’ connection to the language of Bach. The breathing between phrases, the differentiation of primary and secondary voices, and the primacy of rhythm, not metronomic beats but a subtle give and take which never disturbs the flow, all contribute to the overall cohesion. The Gigue is particularly striking and gives one a clue to Casals’ galvanising energy in live performances. There are lessons here to be absorbed by the young cellist. I was particularly interested to hear Casals interpret Spanish repertoire, and so the Intermezzo from ‘Goyescas’ by Granados on Volume 2 of the series (1916-1920) came as a surprise. No indulgence in rubato, just crisp ornaments, a straightforward, brisk tempo, and an absence of sentimental mooning over the melody here. The same disc has a version of the Boccherini Allegro from the Sonata in A Major ; lest anyone think that some modern players have surpassed Casals’ technique, listen to the dazzling clarity of the repeated passagework. The same can be said for the Allegro Appassionato, Op. 43 by Saint-Saëns, a piece most cellists know well, until one hears this version. The speed is breathtaking, but not a note is lost. It is quintessential Saint-Saëns—quicksilver, fleet-fingered and poetic. I was intrigued by the imagination he displays in each of the upward running passages, a sign that a great artist can elevate a lesser piece to something of genuine interest. Volume 3 in the series (1920-1925) has several folk songs which are played with touching sensitivity, never cloying, but for me the jewels of the disc are the Mendelssohn Serenade Op. 67 No. 6 with its inimitable inflected rhythm, the Rubinstein Romance with its upper register sounds of violin-like purity, and the idiomatic Russian soulfulness of the Tchaikovsky Mélodie. “Fantasy, as much as you like, but with order” was a favourite saying of Casals. How did he know what constituted order in the realm of fantasy? An unerring sense of rhythm might be one clue. The same disc has a version of the Popper Gavotte which will delight your pupils and initiate them into Popper’s fantastical world. There is also the Adagio from Haydn’s Concerto in D Major, which he never recorded in full. Casals’ classical style is as fresh today as it was then, with an overriding sense of proportion in the decorative filigree passagework. Great Moments in Cello Playing (Cello Classics) has, amongst many treasures, one track devoted to Casals, a recording from 1916 of the Haydn-Piatti Minuet and Variations, which offers an excellent introduction to the art of Casals. For the uninitiated, this is a port of call, so to speak. A fashionable piece of the late 19th century, it is Haydn with a liberal dose of virtuosity and style. Casals plays the theme with a directness and sense of proportion that is captivating. Each variation is characterised as the registers change, and the final restatement of the minuet is a model lesson in how a theme evolves through the passage of variations. Listen for the high F which he plucks from Heaven towards the end of the piece with the grace of a bird in flight. How does he do that so effortlessly? It is a fascinating exercise to compare the three versions of The Swan, made in 1915, 1920 and 1928, the latter being my favourite in terms of quality of recorded sound. This is a piece that defines the cello amongst taxi drivers and connoisseurs alike. I remember the final meeting with a beloved teacher in which he played me a variety of string sounds, one after the other, and insisted that I define what made them exceptional. “Listen!” he said. “Listen to the beats in the sound.” Many years later I understood what he meant in Casals’ recording of The Swan. It is as if he has his fingers on the beating pulse of life, and to this day I cannot listen to his performance without tears welling. In 1925 Casals left the Columbia label to record for the Victor Talking Machine Company. There is eloquent testament to his golden years of recording on Casals: The Victor Recordings 1926-28 (Biddulph Recordings LAB 017). The pressings are a great improvement over the previous ones in terms of surface noise; one hears the immediacy and clarity of Casals’ tone– the restrained vibrato and the well-centered sense of pitch. As with a good singer, there is never any wobble. Much of the repertoire he recorded previously is here: Melody in F by Rubinstein, Kol Nidrei, Popper’s Mazurka, The Swan and Chopin’s Nocturne in E Flat. There are notable exceptions, however, and some surprises, which are among my favorites. The Bach Musette (arranged by Pollain) is remarkable for its bell-like trills and the exquisitely characterised, contrasting middle section, where Casals imitates the gentle sound of bagpipes with just the right inflection on the melodious double stops and not a trace of coarseness in the sound. This is one of those pieces where cellists can marvel at the range of tonal control Casals possessed in the bow. What sounds could he not produce? The Chopin ‘Raindrop’ Prelude contains one of the most radiantly spun cantilena lines of any instrumentalist I have ever heard, and even the growling double stops of this arrangement (which has not survived in the modern cellist’s repertoire, perhaps for this reason) cannot spoil the limpid beauty of the theme as he plays it. Schubert’s Moment Musical No. 3 (arranged by Becker) has what Duke Ellington used to call “that swing”, which one also hears in his later recordings of Schubert’s orchestral works. The Berceuse by Godard was one of those favoured salon pieces of the early 20th century, now out of fashion, which is a joy to rediscover in Casals’ version because of the variety within his interpretation. His is the language of the heart; the inflected half tones, rising and falling thirds and fourths coloured with delicate portamenti seem placed for maximum effect and yet never feel calculated. It must be said here that the Russian pianist Nikolai Mednikoff contributes accompaniments that are the crown to Casals’ jewels. He possesses the gift of a sensitive touch at the piano and he listens to Casals as if he were his own right hand on the melody. The only recording of Casals playing Debussy is on this disc: the Minuet from La Petite Suite (arranged by Choisnel). It is three minutes of flawless grace and charm, with an unerring instinct for the witty understatement of Debussy’s style. What would we give to have a recording of the Debussy Sonate with Casals? I shall not dwell on the Solo Suites of Bach, recorded in 1938-39 (EMI Classics), because they are so well-known and have done more to perpetuate the art of Casals than perhaps any other single recording. They were (and arguably still are) the gold standard of solo Bach recordings, and musicians of my generation grew up with them. It is hard to be objective when one is so close to a performance. For years I put them away, if only to find my own voice, but now it is a pleasure to play them for pupils, friends who may have never heard them, and for myself when the urge strikes. They may sound dated in places to modern ears, but for my taste he still plays wicked Bourrées, Gavottes, and Gigues, brimming with character. The keys to understanding Casals’ interpretations of Bach are rhetoric and rhythm, curiously enough the same concerns which occupy the Baroque performance practitioners before the public today. There is something far more than excellent cello playing on this disc. The exceptional conditions of time and place, the gravity of the situation in his beloved Spain, the heroism inherent in the work with which Casals surely identified, the participation of his Czech colleagues, all contributed to a performance so inspired and transcendent that it fairly leaps off the record and into one’s imagination and heart. Many of my friends and I still talk about ‘that moment’ when we discovered this recording and its galvanising effect on our understanding of the cello and of music-making. To revisit it more objectively is to appreciate just how Casals respects the score. If there is one work which has been pulled in all directions in the last thirty years, since Casals’ death, it is this concerto. Tempo indications and relationships are ignored, phrasings indulged, dynamics altered, all in the name of individual expression. Casals’ performance reminds us that the work has an inherent dignity and sense of proportion which the text bears out; his interpretation stands at the opposite corner of the ring, and because he illuminates the integrity of the score, his performance endures. The Beethoven Sonatas with Mieczyslaw Horszowski is another body of recorded work which bears investigation. Of all five, I encourage you to listen to the final sonata, if only to witness the crossing of a threshold in the second movement, the Adagio con molto sentimento d’affetto. There is in this movement such oneness with the composer’s intentions that the listener becomes unaware of an ‘interpretation’. 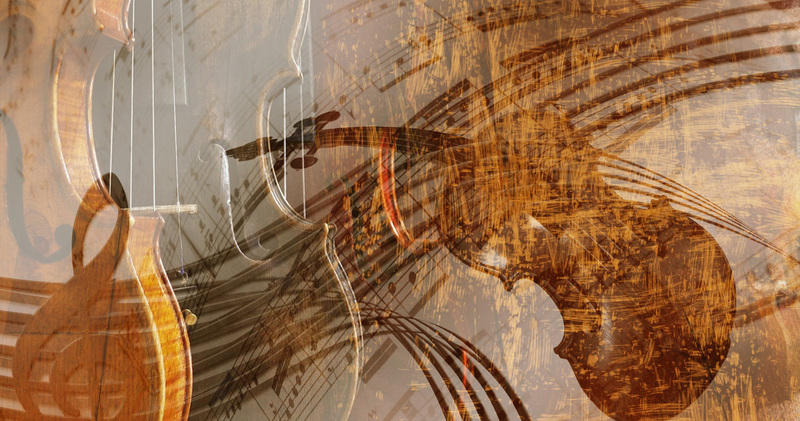 It is an example of the uncanny, inexplicable side of Casals’ gift, the intuition that he relied upon to guide him to the core of a composer’s work. I am not, however, particularly fond of the Brahms Sonata No 2 in F Major which Casals recorded with Horszowski. In places it seems sluggish and lacks the fire which is so much in evidence elsewhere. When one considers how much Casals recorded in 1938 and 1939, in addition to his usual touring and the strains of the war years, it is not surprising to find a performance here and there which is less successful. He was, after all, over sixty years old by the time he recorded the most significant portion of the cello repertoire. There are the marvellous recordings from Prades made beginning in the 1950’s, when the musical world first arrived on Casals’ doorstep to commemorate the 200th anniversary of Bach’s death; thereafter a regular summer festival became a feature of the Pyrenean landscape until 1956. Later recordings from the Marlboro Music Festival in Vermont testify to the longevity of Casals musical life. In conclusion, I would like to mention two performances close to my heart: the Schubert Quintet, D 956, with Isaac Stern, Alexander Schneider, Milton Katims, and Paul Tortelier, recorded in Prades in 1952 (Sony Classical/Casals Edition) and the Schubert Trio in B flat Major, Op.99 with the Cortot-Thibaud-Casals Trio, made in 1926 (EMI Classics). Both recordings are the epitome of ensemble playing, inspired musical conversation amongst colleagues who were well-matched in every respect. These recordings will become old friends and will keep you company until the end of your life. They contain what Beethoven defined as music: “a higher revelation than all wisdom and philosophy.” I keep them close to the CD player. And so this glimpse into a lifetime of exceptional recorded work comes to a close. Casals graced the world’s musical stages for over seventy years, and his recordings illuminate the magic of his art to a startling degree. He is ageless, and I wager when the next century comes round, we will still have an ear for him. Reflections on the Art of Living: A Joseph Campbell Companion, ed. Diane K. Osbon, New York, HarperCollins Publishers, 1991, p. 247. Conversations with Casals, ed. J. Ma.Corredor, New York, E.P. Dutton & Co., 1958, pp. 25-6. Robert Baldock, Pablo Casals, Boston, Northeastern University Press, 1992, p.156.